We’re into the wilderness, despite its notable lack of hot tubs. 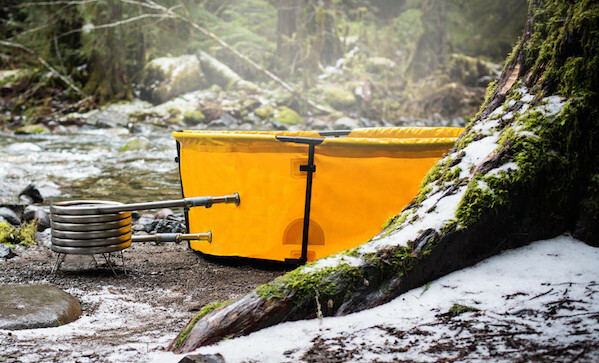 We’d hold out for a hot spring, but thanks to this collapsible hot tub from Nomad ($999), we don’t have to. The whole thing will fit into a duffle bag, weights fifty pounds, and you can set up the tub in a few minutes. The coil works with propane or firewood, in case you want your wilderness hot tub experience to be all natural.